Although I'm not crazy about lip plumping (I can't ever see myself getting lip injections--not least because they seem too painful! ), I do love having a plump pout. 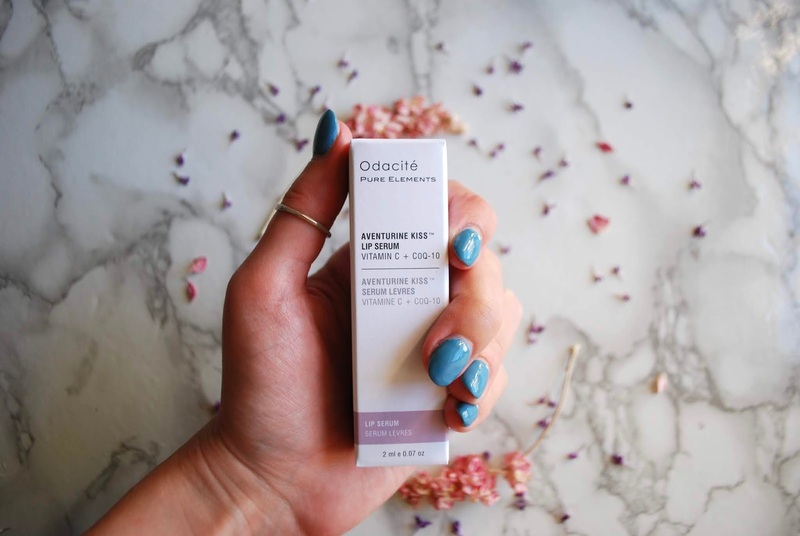 The Odacité Aventurine Kiss Lip Serum* is now a firm favourite in my routine thanks to its natural plumping abilities and the fact that it's loaded with antioxidants. And as with all Odacité products, it's 100% natural and organic. A little goes a long way with this serum, which is housed in a reassuringly heavy glass bottle. It's dispensed with an aventurine crystal roller ball, which immediately feels super cooling on the lips. The serum itself is very thin--almost surprisingly thin--to the point that I was concerned it wouldn't be moisturising. But this little lady packs a punch. It causes your lips to tingle a little bit--but nowhere near as much as some other plumping products. I'd say it is ever so slightly less tingly than the Dior Lip Maximiser (reviewed here). It gives the best plumping result I've ever seen--naturally filling out the creases and dry areas and sort of lifting them away. It can also be applied around the lip contour to smooth and soften any wrinkles or fine lines you've got going on. I love its epic ingredient list. 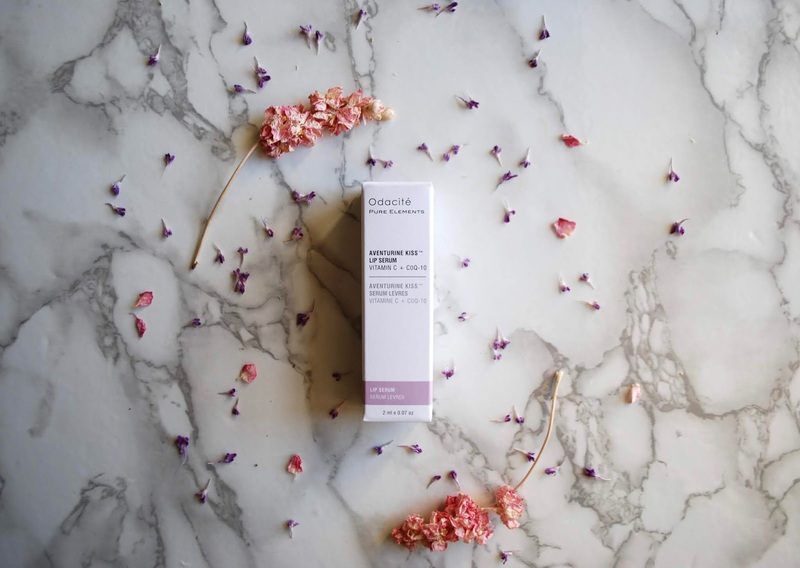 It's formulated with vitamin c, which really helps smooth dry patches on the lips in the long term, as well as CoQ10, which is apparently a "super antioxidant"! 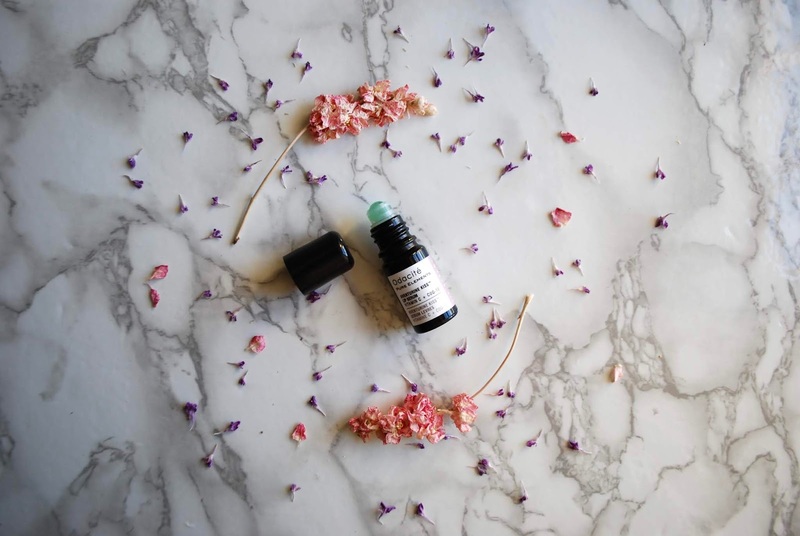 It's also made with mint, capiscum, and my old favourite, vitamin e.
Have you guys tried the Odacité Aventurine Kiss Lip Serum? What's your favourite lip plumper?